I love to sketch, but I also love to share my passion with other people. Recently I led two activities to help promote art in the local community. 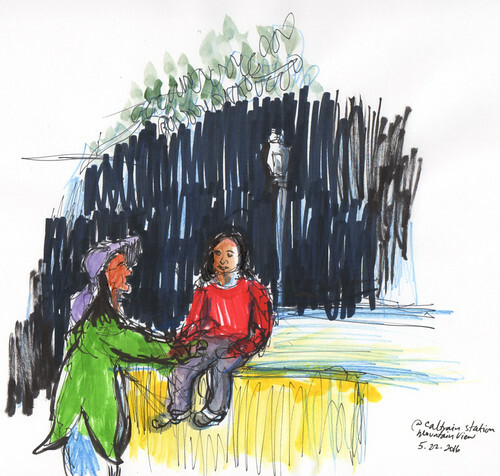 For Google's Take Your Children to Work Day, I facilitated a sketching scavenger hunt. The kids had to solve riddles and then find and draw objects around the campus. 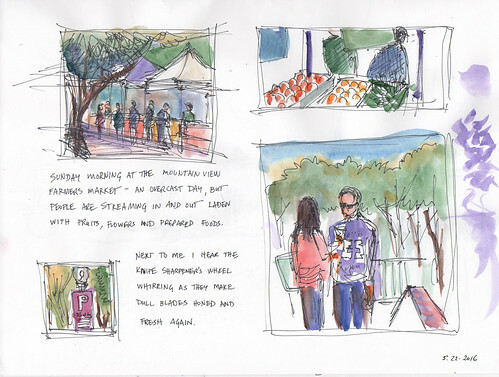 I encouraged them to create a visual journal of their visit to Google. 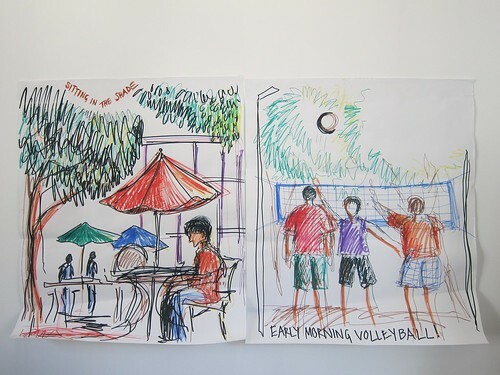 As the kids sketched, I drew the activity around me on a flip chart using the same Scholastic washable markers that everyone was given -- an early morning volleyball game and some people taking a break from work outdoors. The weather was perfect -- bright and sunny. I hope the children had as much fun as I did! 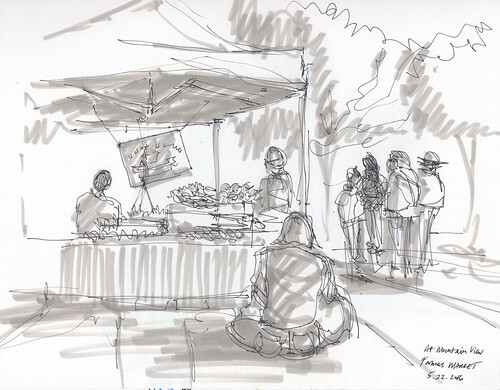 Last weekend, I led an outdoor sketching workshop for Art in Action, a Menlo Park-based nonprofit that provides schools with art education programs. I had donated this "art experience" to their fundraising auction earlier in the spring, and the winning bidders were the participants. Not the best of tools for watercolor (we were trying to keep costs down), but we still captured some great moments. Here's what I sketched while everyone was off drawing. 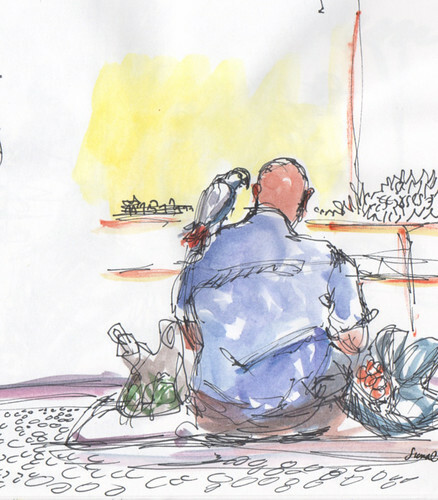 Hope everyone (kids and adults alike) fills up the remaining pages in their sketchbooks over the summer! Yep, we make all kinds of excuses, when really all we need is a pen/pencil and scrap of paper!